• Nativity Festival, St Cuthbert’s Church, Wells, until December 3. Open 10am-4.30pm December 1 and 2, 11.30am-4.30pm December 3. • Browne’s Garden Centre Christmas Artisan Market, 10am-3pm, with over 20 local artisans of food, craft and gifts which include cheese, honey, homemade gingerbread houses, wooden boxes and gifts, locally grown seasonal produce, cakes, jams and more. • Guide Dogs for the Blind ‘soup and pud’ lunch, Wells Methodist Church Hall, Southover, noon-2pm. • Small Business Saturday traders’ celebration throughout Wells. • Safehaus playing at Daniels Cafe Breakfast Club, Queen Street, 11am. • Rotary Club of Wells Reindeer Parade. Event to be opened at 10.50am, parade of Santa and his reindeer down High Street to start at noon. • Children’s Advent Activity Morning, St Thomas’ Church Hall, 9.30am-11am. • Swan Hotel Winter Wonderland including Santa in his grotto, 11am-3pm. Tickets £5. • Mayor’s Charity Christmas Fair, Wells Town Hall, 10am-4pm, with Christmas stalls and chance to visit Father Christmas in the Mayor’s Parlour (£3 including gift). 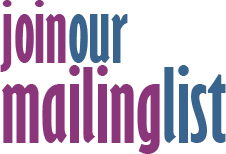 • Coffee Morning with miscellaneous stalls in aid of church funds, Wells Methodist Church Hall, Southover, 10am-noon. • Pantomime The Three Musketeers, Wells Little Theatre, until December 16. • Chorus of Disapproval Christmas Concert, St Thomas' Church, 7.30pm. Tickets £7 (£5) available on the door. • Croscombe Christmas Market, Village Hall, Fayreway, 10am-2pm. • St Margaret’s Hospice’s Light up a Life service, St Cuthbert’s Church, 6pm. • Wells Railway Fraternity AGM followed by raffle and quiz, Wells Town Hall, 7.30pm. Non-members £4. • Festive Christmas Music with Wells Cathedral organist Matthew Owens at the organ followed by refreshments, Wells Methodist Church, Southover, 7.30pm. In aid of the organ repair fund. • Somerset Community Foundation Sing for Somerset carol service, Wells Cathedral, 7pm. • Wells City Band annual Christmas concert, Wells Town Hall, 7.30pm. Tickets £7.50, call Jane Hill: 01749 675668. • Carol Service, Wells Methodist Church, Southover, 10.30am. • Carol Service, St Thomas’ Church, 6.30pm. • Wells Jazz Collective jam session. A professional trio backs aspiring singers and players. The Venue, South Street, 8pm. Free entry. WJC contact: Paul Cannon 01749 674913. • Christmas Markets, Wells Market Place, until December 23, 9am-4pm. 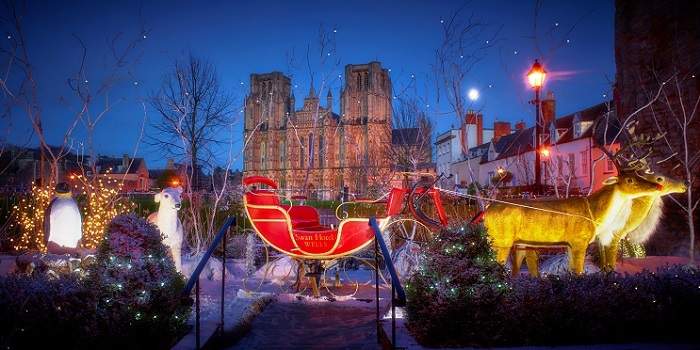 • Carols and Christmas Music by Candlelight with Wells Cathedral Choir, Wells Cathedral, 7pm. Tickets £15-£30 from cathedral box office: 01749 672773.